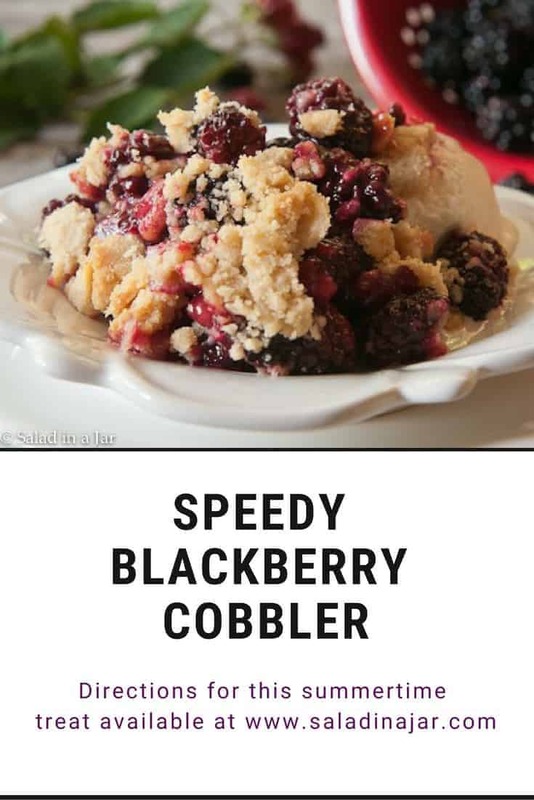 Speedy Blackberry Cobbler with an Easy Shortbread Crust is a quick-to-prepare dessert for two. Serve with whipped cream, ice cream, or yogurt for maximum enjoyment. Have you ever picked berries? Do you grow them? Or maybe you go to a place that will let you pay and pick. Nothing better than fresh berries! 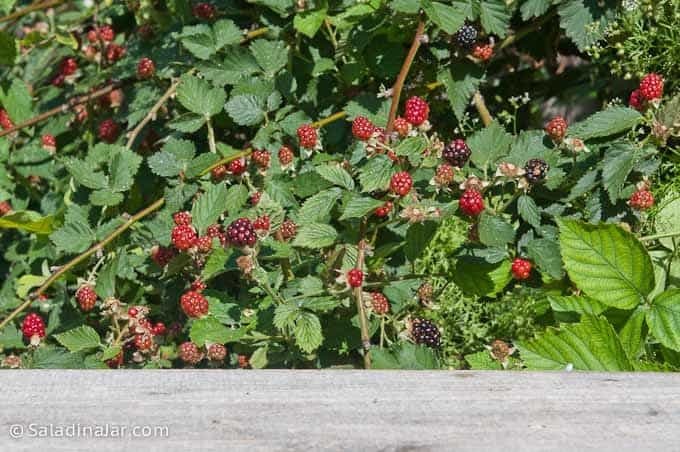 We have a blackberry patch that is currently in full production mode next to our driveway. I collect every day hoping to beat the birds to the berries. Last year I got cleaned out in one night. So far, so good this year. 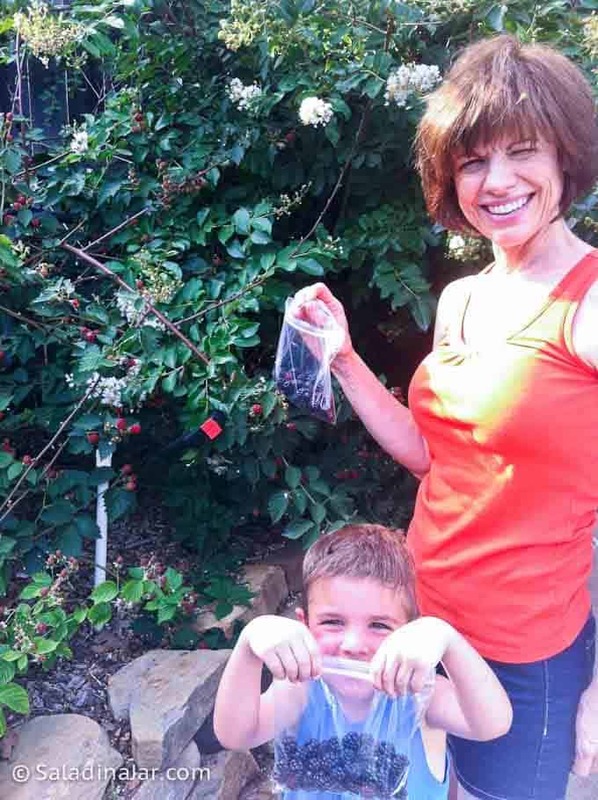 My grandson enjoys helping me pick berries even though he won’t eat them. 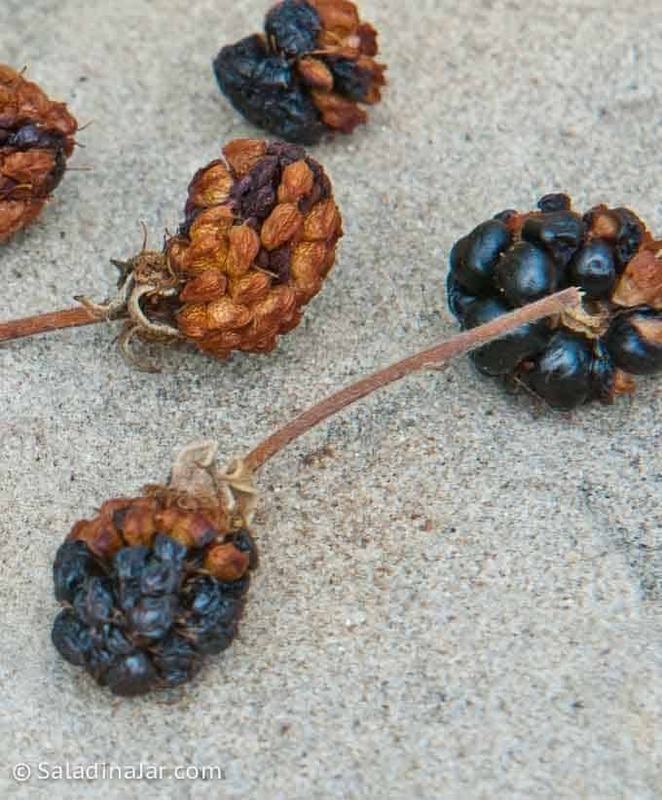 What causes the brown, dried-up berries in the picture below? If you know why this is happening to my blackberries, please let me know. As soon as the red berries begin to turn black, my husband starts talking cobbler. However, I have a hard time getting excited about cobbler–up until now. Soggy pie crust is not my thing. Soggy cake toppings aren’t much better. It’s hard to collect enough berries from my three bushes to make most traditional cobbler recipes. So, I created this recipe using only one 6-ounce container of berries from the grocery store or about 1-1/4 cup if you are picking them yourself. I slightly adapted the shortbread base from some of my favorite cookies (Lemon Yogurt Squares and Toffee Bars) to use as a topping. 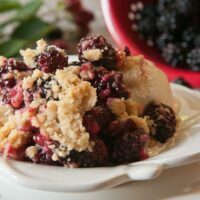 The result is a fruity, cobbler-like concoction with a crumbly and crispy, shortbread cookie-like topping that goes oh-so-perfectly with ice cream or Greek yogurt. Here’s my favorite part. Based on 3 servings there are only 122 calories per serving. Then again, if you make it 2 servings, there are still only 182 calories per serving. Of course, if you add ice cream, yogurt (my favorite), or whipped cream, you will need to recalculate. When I add it to my daily yogurt snack, I can get stretch the yield to about 6 servings. Looking forward to this dessert at the end of the day always makes my day better and I hope it will do the same for you. A quick-to-prepare berry cobbler that bakes in the time it takes to eat dinner. 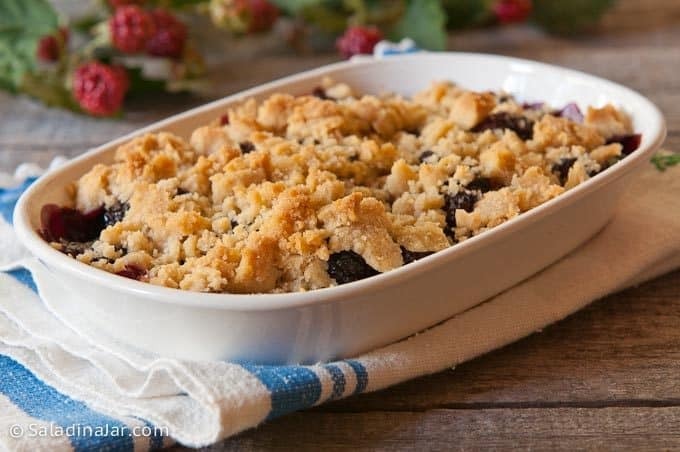 Place berries into a small oven-proof casserole dish small enough that you have two layers of berries. I use a 4 x 6 inch dish. Pour water and vanilla over berries. Combine flour, brown sugar, cinnamon, salt, and melted butter. After stirring it together, use your fingers to smush it into crumbles. Sprinkle crumbles evenly over blackberries. Serve with ice cream, yogurt, or whipped cream. The amount of sugar I use depends on what I'm going to serve with it and how sweet the berries are naturally. Also, consider the intensity of your sweet tooth. Some people may like even more than 2 tablespoons. Your choice. Paula, you’ve done it again! Thanks for helping me make an awesome dessert for my family. They gobbled this up in a heartbeat. I used an 11×7 pan with frozen raspberries and tripled your topping amounts, which worked out perfectly. I’m hoping it’s a good blackberry crop this year; I can’t wait to try it out with them! Thank you AlyB for taking the time to come back and tell me how this recipe turned out for you. You’re the best! I love the small recipe! Viva la empty nest. 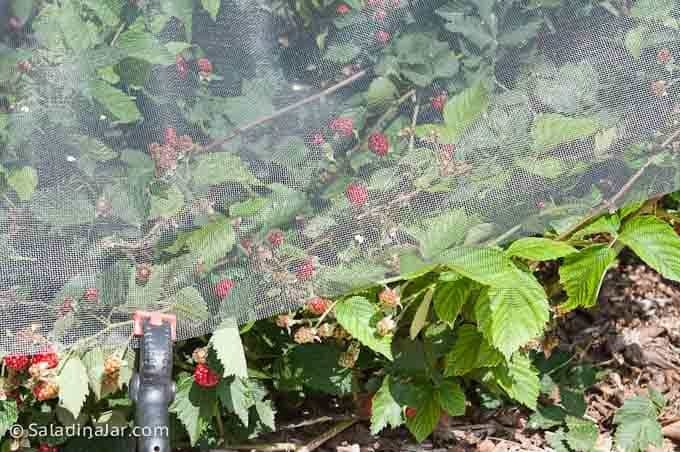 We’ve got about 4 more weeks before blackberries in the Pacific NW. Can’t wait!!! 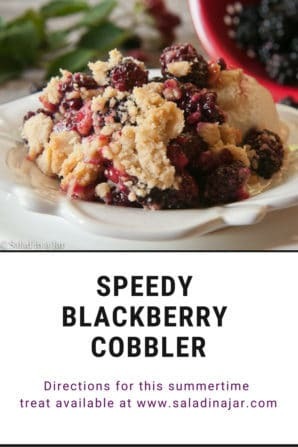 I actually prefer cobbler because I am not a soggy crust fan either. Made this for dessert tonight while dinner was cooking on the grill, subbing blueberries for blackberries. What a hit! My three year old daughter exclaimed that she LOVED it and asked me to make it again for breakfast, with raspberries. Her twin brother wants a version with strawberries! Your small cobbler recipe looks wonderful. You look great too and your grandson is adorable. I love cobblers and think they might be one of my favorite desserts (with ice cream, of course). Sweet photo of you and your little helper. I can’t wait to make this. I just decided to go gluten free and no refined sugar, but this would be so easy to adjust for that. This recipe looks so yummy!! I’m definitely going to have to try it! 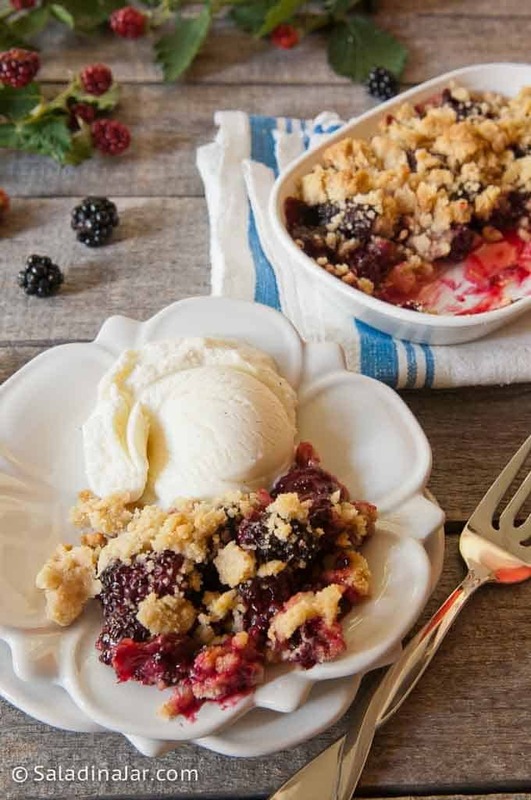 Who can resist blackberry cobbler, especially when it’s this easy?